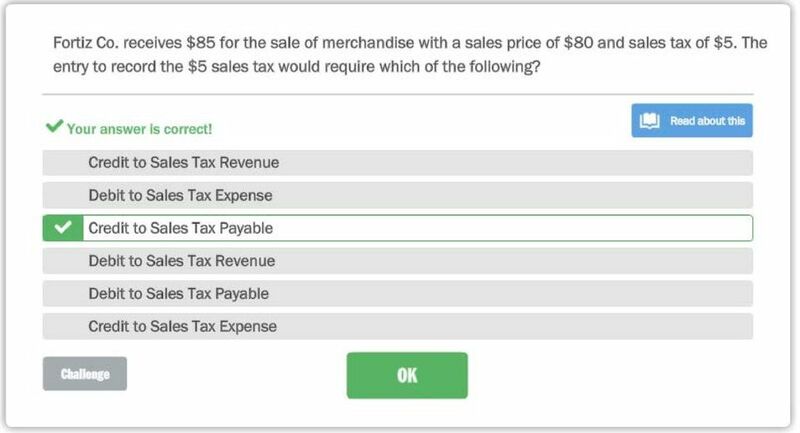 V' Your answer is correct! 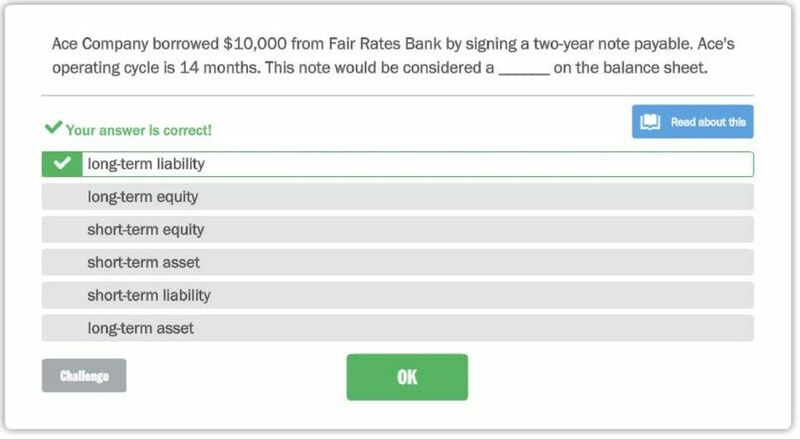 Download "V' Your answer is correct!" 31 Vance Co. allows employees to take a two week vacation each year. A newly hired employee wlll earn $20,800 per year. To account for the two weeks off each year, Dante will accrue $16 In each of the 50 weeks. 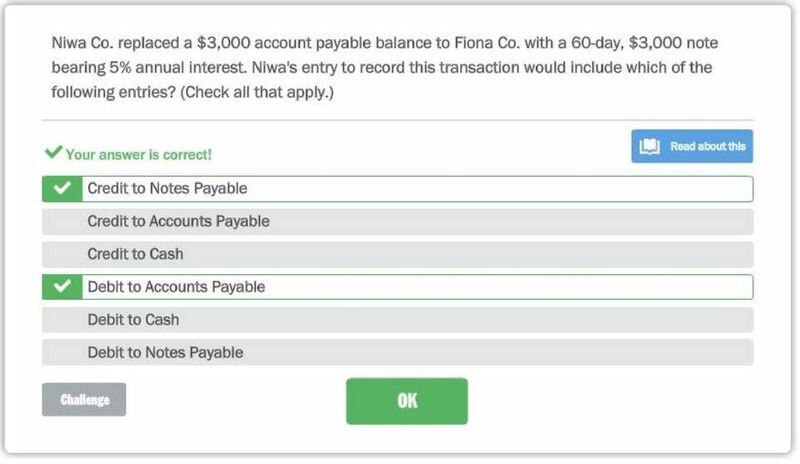 This accrual will be recorded to which of the following accounts? (Check all that apply.) ~ Your answer is correct! l! !j Reed about tllla Debit to Cash. Credit to Cash. W Debit to Vacation Benefits Expense. Debit to Salaries and Wages Expense. Q Credit to Vacation Benefits Payable. Credit to Salaries and Wages Payable. 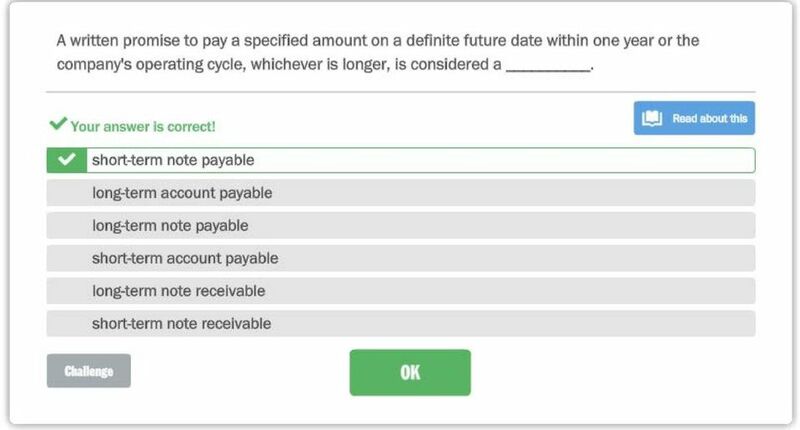 49 Which of the following represent reasonably possible contingent liabilities? Select all that apply. ~Your answer is correct! Read about this accounts payable warranties debt guarantees Potential legal claims and debt guaraotees arre types of liabilities that are consrdered reasonably possible. potential legal claims Potential legal claims and debt guarantees are types of liabilities that are considered reasonably possible. 54 Zito Co. has accrued employee salary expense of $1,000 which Includes employee withholdings that total $300. On payday, Zilo will record the payment with which of the following entries? (Check all that apply.) ~ Your answer rs correct! l!! !j Read about this Debit to Salaries Expense for $1,000. 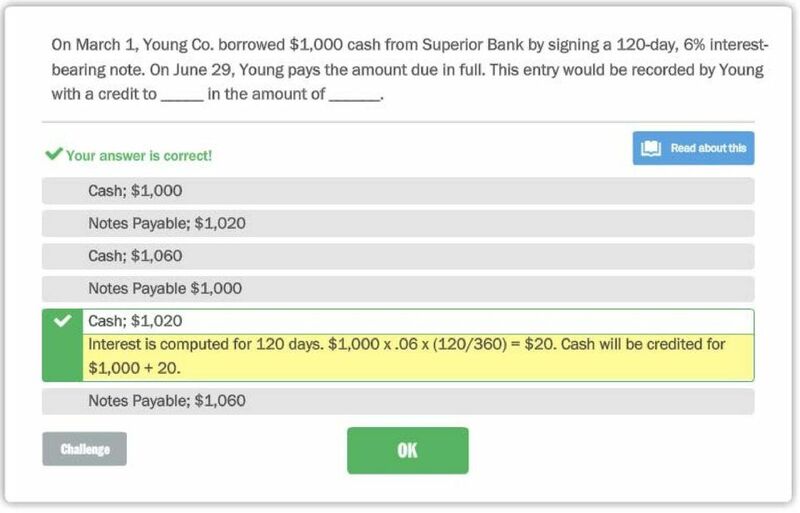 Credit to cash for $1,000. fl Debit to Salaries Payable for $700. H Credit to Cash for $700. Credit to Cash for $1,300. 57 A known liability arises from a situation with little uncertainty, with set agreements, contracts, or laws. These liabilities are measurable. 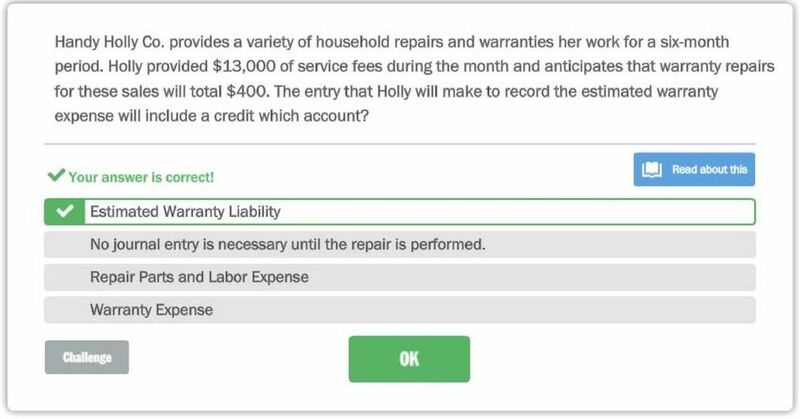 Known liabilities would include all of the following items, except -./Your answer is correct! Reed about lhls salaries payable. unearned fees. accounts payable. notes payable. Learning Objective 1. Chapter 13. What is a Liability? Learning Objectives. What is a Liability? What is a Liability? CURRENT LIABILITIES & CONTINGENCIES Chapter 13 ECON 136A REFRESHER What is a liability? Present (not necessarily current) unavoidable obligation; Result of a past transaction; What makes a liability current? In July, Lane Co. sells merchandise to Avery Co. on account. In August, Avery pays the balance in full. 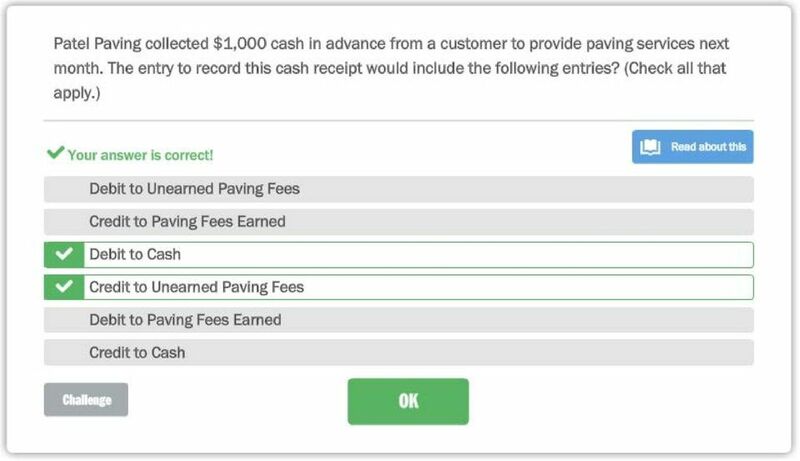 The entry that Lane will make to record the receipt of cash will include a credit to the account. 'i*,; V' Your answer is correct! Match the Item on the left wlth the definition on the rtght. SampleTest3-910Ll.12. Name: Class: Date: ID: A. 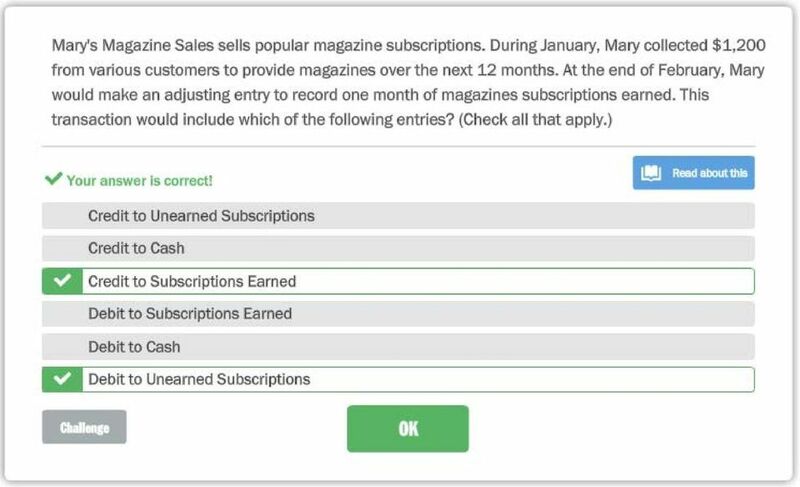 Multiple Choice Identifi the choice that best completes the statement or answers the question. ENTER YOUR CHOICE IN THE YELLOW BOX. 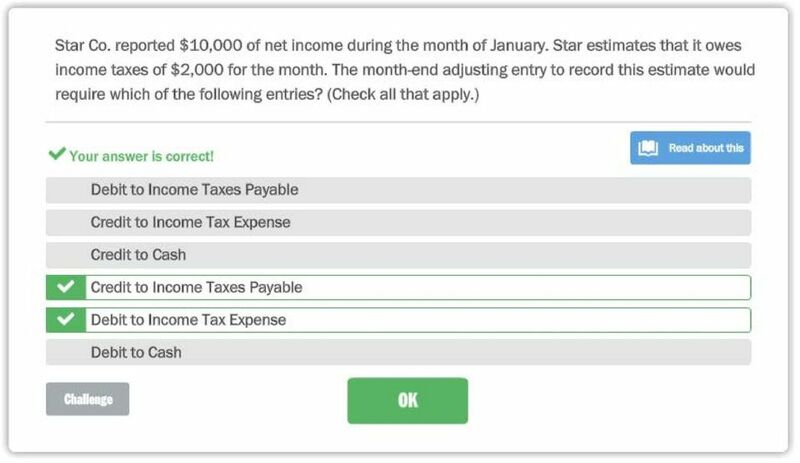 The Green Box will award you 3 points for a correct answer, but zero points for an incorrect answer. COMPONENTS OF A STRATEGIC PLAN. Click on the steps to the left to learn more about each part of a strategic plan. General Ledger Year-End Procedures 2014 Introduction As we approach the end of the year, it is necessary to prepare for the annual audit as well as finish up the year s work from an accounting perspective.